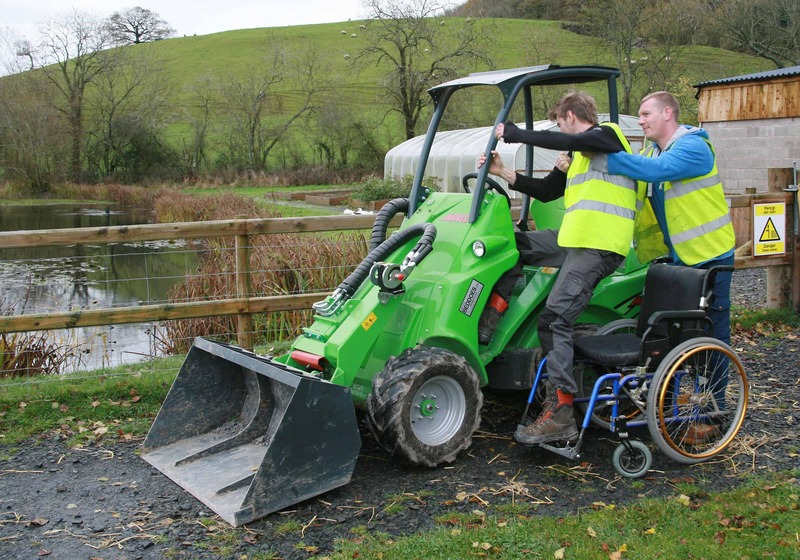 Leading disability charity, Papworth Trust, has recently obtained an Avant 400 series compact loader. A multi-purpose tool which is now a key piece of equipment for its 12 acre farm in the UK. For families affected by disability, Papworth Trust’s Farm provides supported breaks where the natural environment and a variety of animals facilitate learning. This environment also gives visitors the chance to improve their physical and mental well being. The ‘whole family’ approach helps cope better with the challenges and pressures of disability when they return home. Commenting on the acquisition of the Avant, farm manager Natalie Webster said “We’d almost given up hope of finding a suitable machine until we discovered the Avant”. A 400 series with bucket, mower, harrow and pallet forks, all within the farm’s budget! Staff at Kerry Farm also find it easier to support disabled visitors as they move from their wheelchairs onto the Avant’s seat – sometimes using a simple slide arrangement. Once in position and simple joystick control mastered, visitors are soon having a great time carrying out various tasks around the land. This includes anything from cutting grass to collecting wood. “The Avant really does level the playing field for our guests”, said Ms. Webster. “So they can independently contribute to the day-to-day running of the farm whilst they are with us”. The 400 series is designed and manufactured by Avant Tecno in Finland. For more information call 1800 686 411 or contact us.